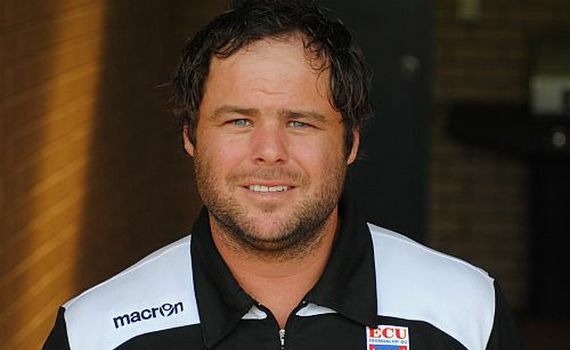 We caught up with Jacks Head coach Dale McCulloch after Saturday pre-season friendly against Forrestfield United and we spoke about the new signings and how the pre-season is going. Jacks: Hot conditions today Dale but a good hit out for the boys? Dale: Yes it was a good workout for the lads, the conditions and the bobbly pitch didn’t help, but it was good to get 90 minutes into the legs, and we really appreciate Forrestfield taking the game at short notice and we thank them for their hospitality. Jacks: A full game for Gordon Smith today and four goals? Dale: He scored four did he? – We’re really happy for Goggsie, but we still thinks he’s got a little left before he’s 100%, so to score four today is great, but he could have a couple of others, which is a good sign with the season only two weeks away. We are probably a little harsh on him sometimes, especially after the knee injury last season but he knows he’s got more to come and he has to believe in his body and it will come naturally to him. Jacks: Some good lead up play today and new signing Danny Milne is fitting in well to the side? Dale: I thought all the lads put in a good shift today, Danny included, and he gives us experience and guile in the middle of the park. We could be a little more clinical in the final third, you have to put them away and make it easier for our back four. We should have been two or three up after fifteen and it’s a totally different story. But credit to Forrestfield, they really stuck to their task and I think they are a good side. Jacks: A couple of new faces in the starting side with Ross Millard and Jack Jones coming in and they both impressed? Dale: The pair has settled in really well and we hope to get them on board during the week. They both did really well in the game and are both good players and good lads too. We look at the players football talents but we also want good people off the pitch too and both meet that criteria. Both are former ECU boys and fit the philosophy we’re trying to implement at our club. Jacks: First game of the pre-season for Shane Pickering and he was good at the back along with Nathan Diaz? Dale: Shane did well and was solid back there with Nathan. He’s a good football and plays in a number of positions for us, so to get some game time into his legs is important with the season opener close. Jacks: On the injury front how are we going? Dale: Really good Jon and Andy Higgins are back in full training, and Rikki Smith is getting closer to a return to the main group which will be great. There are always a few knocks in the pre-season, we took Kevin (Moon) off today after he got a knock, but that was only precautionary, and he wanted to go back on but we decided not to. While it was good to see Jayden Drummond get 90 minutes in the under 20’s today, so everything is coming together nicely. Jacks: Only two weeks to go to the season opener against Joondalup United – What have you got planned for next weekend? Dale: We’ve got a game against Balcatta at home on Saturday, which will be a good work out with the derby due in the season opener. It’s just a case of getting more game time in the players’ legs against quality opposition and we hope to go into the Joondalup game at full strength and raring to go! Dale: Cheers pal – and a special mention to our supporters, get along and cheer the boys on in the season opener, 7pm at Percy Doyle Reserve on Sunday 19th February in the first ever Joondalup Derby in the NPL – See you all there!! !